We know that you know that they know it’s a dirty world out there. And we love to help you stay fresh and clean! With delicate hands and science our exterior cleansing procedure will take about an hour and will use less than three gallons of water with no environmental run-off. Outstanding! Certainly the greenest way to be clean. To boot we do not use machines in any part of our wash process; keeping the paint finish scratch and swirl-mark free and Ohhhh…So shiny! Opti No-Rinse (ONR) will forever change the way you see washing that dirty love outside. ONR is packed with nano-polymers that entrap particles on the surface in a microscopic bubble that is neutral (not + or -), allowing the rinse and dry steps to happen at the same time without the need for a pressure washer rinse. This advanced polymer sealant cross-links with the surface to provide months of crystal clear protection. We use this in place of heavy hard-to-remove compound and waxes that need re-application every couple washes. It’s no question that Opti-Seal adds lasting protection, clarity. Opti-Hyper Polish 1-Step is intended for paint finishes that need light correction. This process works hard to eliminate fine scratches and swirl marks leaving behind a perfect shine. This process is followed by Opti-Seal to protect the finish for the long months ahead. Opti-Hyper Compound & Polish is intended for paint finishes that need medium to heavy correction. A vehicle will need this service after continuous machine washes. 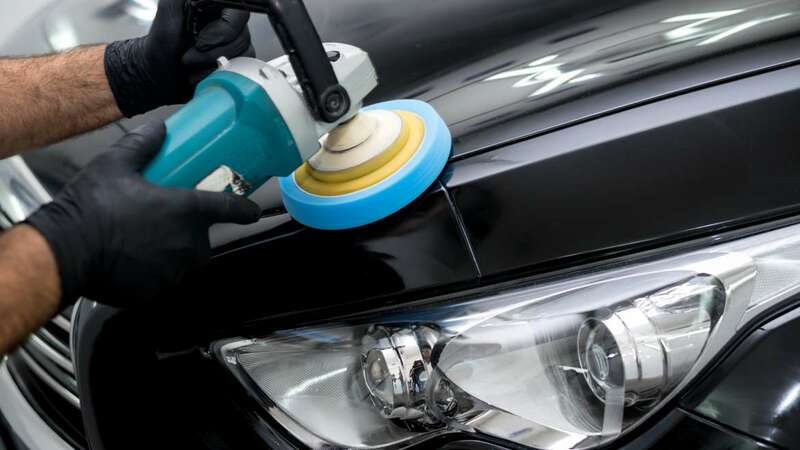 This service can also be used to correct the showroom finish. Orange peel can be unsightly to any enthusiast and this process will bring the wavy O.E.M. finish to a mirror reflection. Followed by Opti-Seal to protect and seal the new shine.